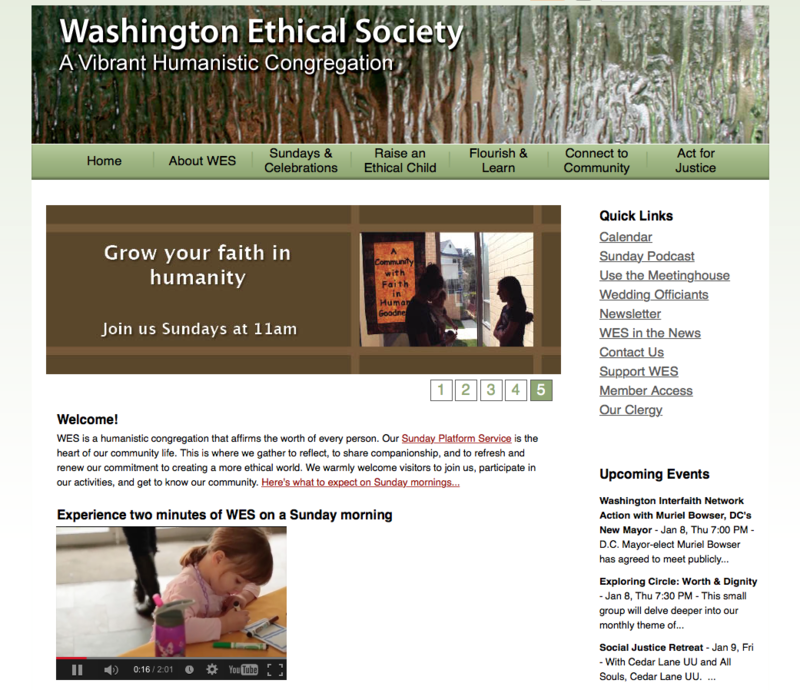 Like any non-traditional religious community, the Washington Ethical Society struggled with how to describe ourselves. How could we let seekers out there know who and what we are? We had words to explain our history, to share our statement of purpose, but what we really wanted was for people to see what it felt like to be with us on Sunday morning. To understand what a “vibrant humanistic congregation” felt like, looked like, sounded like. So we made a video! 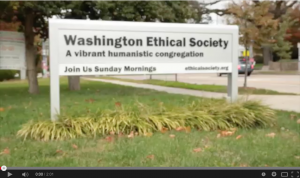 Actually, we paid just under $250 for a hip, young video editor (Glenn) to film us on a Sunday morning—from greeting people as they walked in to gathering upstairs to Sunday School—and to create a snapshot of the Washington Ethical Society. We’d seen videos he had done before, and knew that his style was organic and home-y feeling, focusing on the little details and catching quiet moments as well as the sense of energy in a room. We asked him to try to capture the diversity of our congregation, both in terms of people and in terms of activities…and we said NO TALKING HEADS! And that’s what we got. Glenn filmed from about 10:30am through the start of our 11am service, finishing up around 11:30. He uses a hand-held camera only; most people didn’t even notice when he filmed. We did post signs on the entrance doors letting people know they were being filmed, and we offered a “no filming” seating section. We opted not to tell members ahead of time about the filming, because we didn’t want people staying away to avoid being on camera. In retrospect, it might have been a good idea; we did have to edit the video after it was created to remove images of children without photo release forms. With that minor slow-down, though, the whole process was very quick. We got the video days after filming, and it presented just what we wanted: a glimpse of what it looks and feels like to be at WES on a Sunday morning. My favorite parts are seeing congregants saying hello to each other and laughing together during the greeting time – noticing the energy and excitement our children bring into the space – and the Sunday School poster that the filmmaker captured near the end, which speaks so well to what we’re trying to do here. I was impressed with how Glenn focused, without much instruction, on our most important moments, like the candlelighting and the children’s story, as well as catching the sweetness of a child walking around with his Sunday cup of tea. My hope is that seekers, checking out our website for the first time, will see those moments and get a real sense of who we are—and then come and check us out for themselves! 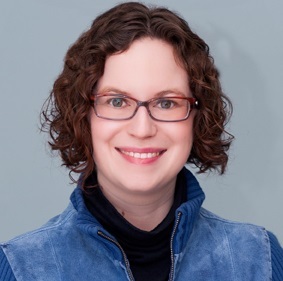 Amanda Poppei is the Senior Leader of the Washington Ethical Society, a 300 member congregation in Washington, DC that is a member of both the American Ethical Union and the Unitarian Universalist Association. Her very favorite part of every week is opening the door on Sunday morning to welcome people in…followed in a close second by joining the children in stealing extra cookies during coffee hour.